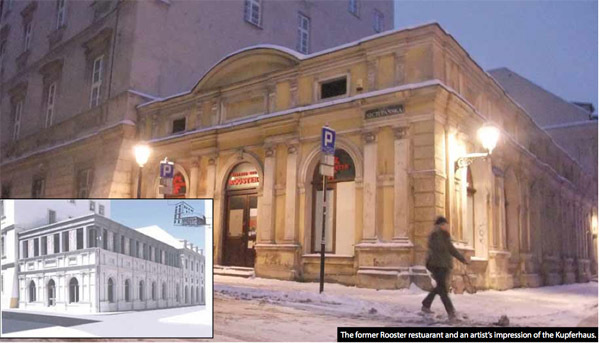 Previously occupied by a branch of Rooster, a Polish restaurant chain loosely based on the infamous Hooters chain in the US, the building will undergo a complete refurbishment including the addition of a second-floor with a copper-faced façade. The site is behind the main building of the Historical Museum of Krakow, the Krzysztofory Palace (Pałac Krzysztofory) and will become a part of a family friendly museum complex, with a library, a restaurant and conference space. But, above all, the Kupferhouse is to become a monument to the copper trade – one of the pillars of the city’s historical wealth. 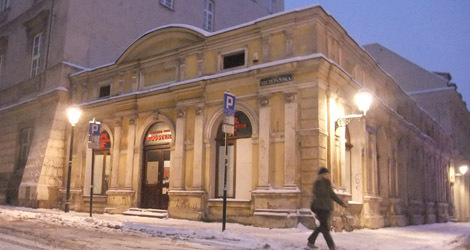 “I realise the name Kupferhouse, which translates as ‘House of Copper,’ may be surprising for both Cracovians and visitors, and it is yet to be decided whether this name will be official or just a moniker, but it definitely evokes the name of an historical facility devoted to the copper trade, and reminds us of Krakow’s ‘copper story,’ said Michał Niezabitowski, the director of the Historical Museum of Krakow. As Niezabitowski points out, the wise taxation levied by Poland’s medieval kings made Krakow a rich and respected member of the Hanseatic League. Every shipment of copper travelling from present-day Slovakia passed through Krakow on its way north, and was sold to local merchants. “There was even a time when, facing a shortage of gold and silver, local merchants used copper as currency, and goldsmiths used it as their material. The demand for copper was huge, and Krakow made the best of it,” said Mr Niezabitowski. The renovation of the Kupferhouse will complete pl. Szczepański’s Belle Époque makeover, complementing other recently revamped buildings on the square such as the Stary Teatr, the Pałac Sztuki and the Stanisław Wyspiański Museum. The hope is that it will become one of the most interesting buildings in the city. “All the necessary permits and approvals have been obtained, and the work should be finished before 2015,” said Niezabitowski. The project is expected to cost 24 million zł, with 16 million zł coming from EU funds.